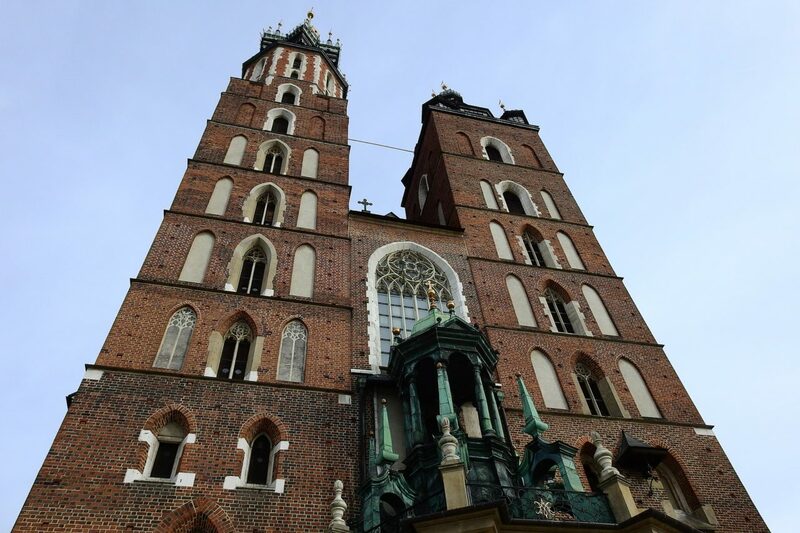 St Mary Basilica is the most important church in Krakow. I have to admit that I hadn’t planned to visit Krakow and its surroundings. In fact, I wanted to visit Dubai, but at the end landed in Krakow… I guess the main reason was the ticket price. However, it was the best decision I’d ever made. I do not regret at all visiting this beautiful Polish city. Moreover, I had a chance to go on an unforgettable Auschwitz tour, that I’ll never forget. People say that Krakow is the best polish city and now I can truly agree with the statement. Medieval architecture, beautiful churches, amazing archaeological findings, old walls as well as modern skyscrapers. Moreover, the city hadn’t been destroyed by the War War II. Additionally, I had a chance to go on amazing trip to Wieliczka Salt Mine. It was also not my plan, as I wanted to do Auschwitz tour only. However the company that I was travelling with, offered me their different tours. One of them was Wieliczka Salt Mine. Have you heard about it? It’s a special monument from XIII-th century, located not very far from Krakow. The place is really, really beautiful. It’s also one of the world’s oldest UNESCO-listed salt mines. I was on amazing underground trip in the underground kingdom of salt. To get to the bottom of the Wieliczka Salt Mine, I had to take 810 steps! I recommend visiting Wieliczka Salt Mine to everybody who travel to Poland. Who wouldn’t like to participate in elegant reception in the Ball Hall in Wieliczka Salt Mine? It used to be dangerous place for workers. Mostly because of highly inflammable and explosive mine gases. Maybe that’s one of the reasons why people working there were very religious. They carved beautiful salt figures of Saints, to whom they prayed. There are also impressive chapels inside the Wieliczka Salt Mine. Reconstruction of the harsh living conditions of miners is really interesting. The same as archaeological findings. I found out that Wieliczka Salt Mine has been also very popular among people with asthma or other respiratory problems. There is also a restaurant with delicious food, where you can sit after sightseeing. Although my visit in Wieliczka Salt Mine was brilliant and impressed me a lot, the best was yet to come. To be honest, I had never been on a trip that would affect me so much as Auschwitz tour. 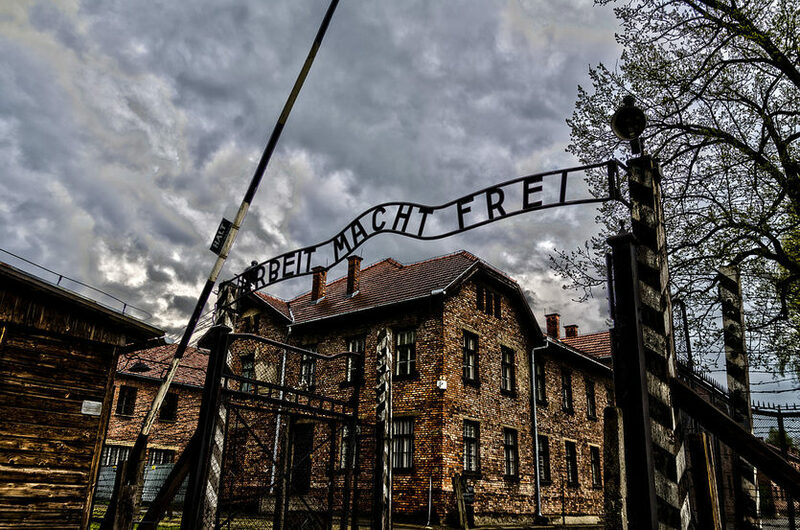 Before coming to Poland, I knew something about Holocaust and concentration camps. I have seen a movie Schindler’s List and The Pianist, but that’s it. However, this was always very interesting subject for me. That’s why I booked an organised trip to get into Auschwitz Museum. Already in the car we had watched a documentary about the Holocaust, as an introduction to Auschwitz tour. I am a traveler, I have seen many, many museums, but this one was something… That made me breathless. My Auschwitz tour is something I will never forget. What shocked me the most was the fact, that all of this happened because of a ridiculous ideology. It was a human who came up with this place of slow, exhausting death, medical experiments on humans, mass murder and dehumanization. Let’s cut it short – a place of evil. Inequality, discrimination and suffering of innocent were on the agenda in Auschwitz. Anyway, Auschwitz tour gave me a great lesson in deed. I complemented my knowledge with valuable facts. I had an incredible guide who explained many Holocaust issues to me. I have seen prisoners’ barracks, places of their works and places of their death… I guess the the ruins of deadly gas chambers were the most terrifying objects. Auschwitz tour consists of visits in two parts of the camp. Both of them are equally frightening: Auschwitz I as well as Auschwitz II-Birkenau. To sum up, I recommend booking an Auschwitz tour to everybody who is in Poland. I believe that children should see the place as well, it can teach them a lot valuable issues. Moreover, I can also honestly recommend going to Krakow and Wieliczka Salt Mine, as everything is really close to each other.